When I got married, I made it a point to get a 3 teared cake just so I could get the Pillars that came with the cake. It was the only wedding decision I was adamant on (other than the Ice Cream Sunday bar and the choice of beer to be served). My wife had no idea until I specifically told the venue staff that they needed to save the Pillars for me. I'm sure it was not the weirdest request they have had, but they gave me the impression it was odd. The cake was fairly expensive, making those pillars the most costly Heroscape terrain I own. This may be the best Heroscape story I have ever heard! That IS the best heroscape story ever, my wife and I asked them to save all the glass bottles for target practice, haha, but I can't believe I missed the heroscape oppertunity. Not entirely sure it is legal to sell those. I believe the interlocking hexes are copyrighted by Hasbro. Very cool though. It would be awesome if you uploaded that to shapeways. We looked up the patents on the boxes and from what we could tell only the art was patented, and it said patent doesn't extend to design. (Or something like that, going off memory.) I'm not a lawyer, but to me it looked fine, however of you or anyone sees something we missed please let me know. Last edited by Isak; February 27th, 2017 at 06:12 PM. Regardless those pillars are super sweet. Received my columns today. They are really cool! They lock in well with the Heroscape tiles. Can be a little snug because of the paint but really nice work. Thanks for the kind words and the feedback! We will look into making them slightly more loose in the future, if the tightness causes damage after use don't hesitate to let me know. Hey guys, I'm the other half of this pillars project. Thanks so much for the feedback! It's great to know other people are as excited about the design as I am. I thought I'd weigh in on the patent issue. 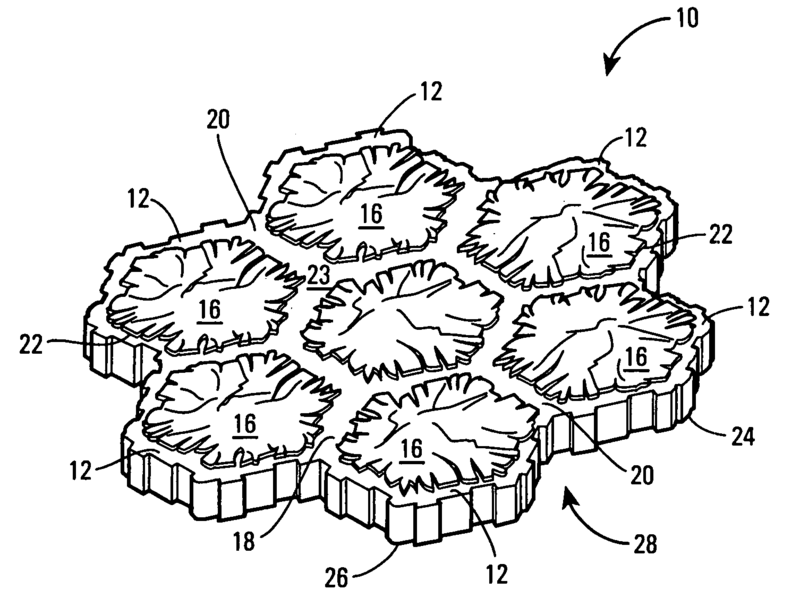 The key is that the patent is an ornamental design patent, not a utility patent. As such, it does not protect the utility of the pieces, but only the looks and patterns. As long as we aren't reproducing actual HS pieces, we should be fine. We are going to have a lawyer look at it and let us know what we need to change if anything. You and your friend are unusually sensible for people doing this kind of work. Haha, thanks. Probably overkill, but we want to do it right.